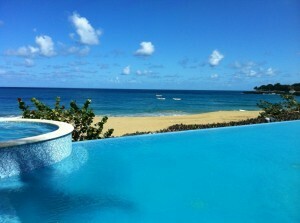 Relax and feel good: Visit the Caribbean! With dozens of tropical islands scattered across a crystal clear sea, it’s no wonder that a holiday in the Caribbean has long been associated with luxury and relaxation. Welcoming millions of visitors each year, the islands boast a wealth of attractions, from exclusive hotels and golden beaches to colourful carnivals and breathtaking scenery. The Caribbean region consists of around thirty distinct countries and territories and is made up of over 700 individuals islands. A vast range of different cultures and languages can be found, as well as a diverse ecosystem that changes significantly from island to island. Once you’ve identified some of the amazing Caribbean holidays found at Deal Checker, you can look forward to seeing some truly incredible sights. With so much to choose from, and with each of the countries in the Caribbean region offering its own unique twist on island life, actually picking a destination to visit can present one of biggest challenges! If you want a holiday where every option is catered to, it’s best to stick to the bigger, more tourist-friendly resorts in places such as Jamaica, the Dominican Republic or the Bahamas. Here you can stay in top-class accommodation and laze on one of the many beaches, whilst also discovering the culture, cuisine and entertainment on offer. Taste the spicy specialities in a Jamaican beach-hut, or explore the colonial history and mountainous terrain of the Dominican Republic. Cuba is another fantastic destination for adventurous travellers. The largest island in the Caribbean, it is also the most mysterious. Sultry, passionate and full of music, Cuba has a character quite unlike anywhere else in the Caribbean. All through the Caribbean Sea, there are literally hundreds of places to see and things to do. Take in the beautiful harbour views in Curaçao with a romantic cocktail, or snorkel amongst the stunning reefs on the coast of the British Virgin Islands. Experience the intriguing mix of British and Caribbean culture with a holiday in Barbados, or get away from the beach resorts by spending some time in the unspoiled rainforests and lush valleys on the relatively undiscovered island of Dominica. Whether it’s kite-surfing in St Lucia, yachting in St Vincent or partying the night away in Trinidad, a trip to the Caribbean has all the ingredients you’ll ever need for an unforgettable holiday. Special Golf Adventure – The Dominican Republic is a Unique Golf Destination! The Dominican Republic is well-known around the world as a top shelf golf destination. Visitors come from Europe, North America and Asia to partake of the wide selection of new as well as established world-class championship courses designed by the great architects: Pete Dye, Tom Fazio, Jack Nicklaus and Robert Trent Jones. Names like Teeth of the Dog, Playa Grande and Punta Espada ring like music in the ears of golfers everywhere. Indeed, the Dominican Republic is a visiting golfer’s paradise. But imagine the opportunities available to the resident homeowner living amongst this bounty! For four friends from Cabarete, that bounty presented itself recently when they decided to take a long weekend away from the north coast. 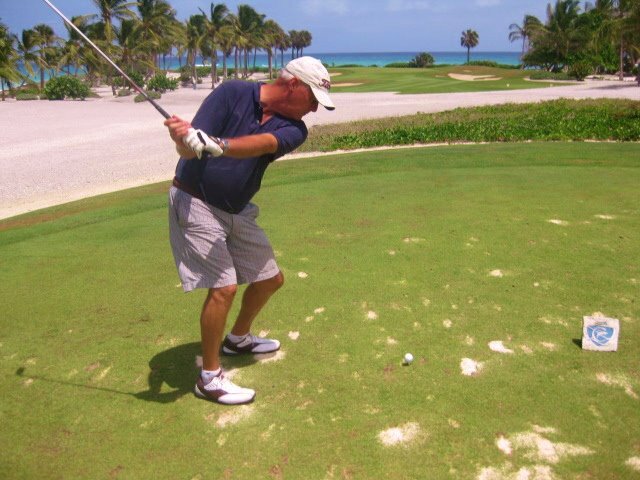 They played a few of the great courses near La Romana in the south and Punta Cana/Cap Cana in the east. The four were members of Fedo Golf, the Dominican national golfers association. Membership is $100 per year and entitles members to many free and discounted rounds at some of the great golf courses of the country. In addition, these friends joined the Teeth of the Dog Association (TOD) for $50 per year. This entitles members to discounted play at the great Casa de Campo courses (Dye Fore, The Links, and Teeth of the Dog). In addition, the TOD sponsors frequent tournaments, and it is one of these tournaments that the four friends, Tom, Dave, Ken, and Eric, decided to enter. The entry fee of $295 entitled each player to a round each at Corrales in Punta Cana, Punta Espada in Cap Cana and Teeth of the Dog in the sprawling south coast resort complex known as Casa de Campo”. The entry fee includes a golf cart. Because the players were TOD members, they were able to play an additional fun round at Teeth of the Dog and the famous Dye Fore. They found a charming Italian Inn in La Estancia, 10 km east of La Romana and each took a room, with nice breakfast included, for $50 per night. The tournament organizers were very nice and accommodating, allowing the four friends to play as a foursome, despite differing handicaps that would in most places cause them to be split apart. The courses were nothing short of sensational with breezy sunshine and nary a drop of rain. Scores were mixed, and in the end, didn’t matter much. The four played poker in the evenings or drove a few km to Bayahibe, a coastal village, to dine on fresh fish and prime Argentine beef. They even found a Canadian bar with TV tuned to the NHL playoffs. The four friends drove from the north coast to the south coast in under 5 hours using the rapidly-expanding network of fine toll roads that is quickly linking most major areas of the country to each other with safe, well-maintained highways. Being the off-season, costs everywhere were a fraction of what they would be in North America or Europe. They played 5 rounds of world-class golf, spent 4 nights in a charming Italian hotel/restaurant, ate dinner at a range of wonderful restaurants…and when they got home, they realized they had each spent less than $800!